Minerva Arts are delighted to announce this year’s must see play The Tempest, being staged in Chester this weekend. 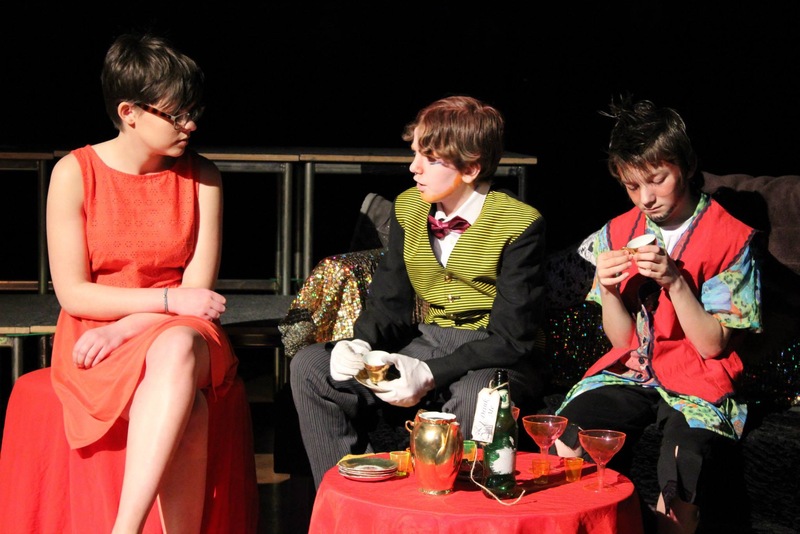 Their Seniors Youth Theatre for ages 11-18 have been working hard over the last few weeks to bring you a show stopping performance, which will be at the University of Chester, Kingsway Campus at 7.30pm tonight and tomorrow (1st & 2nd April 2016). The performance will transform the performance space at the Kingsway Campus into a new world, enabling the audience to move around with the actors and take a journey through the story. The members have had a great deal of input into the creation of this piece, and this classic story will be re-told in typical Minerva-style with a quirky new twist. Minerva Arts was founded in 2009 by Steph Brocken and Hayley Wood, two ex-students of the University of Chester. Since taking over the Youth Theatre group in 2011 they have made a name for themselves in creating unusual and contemporary performance and The Tempest is no different. This performance forms part of a season of work being shared by all three of Minerva Youth Theatre’s groups. This season is completed by Malpas Youth Theatre’s brand new piece ‘Whodunnit?’, performed on 31st March, 7.30pm at Malpas Young Person’s Centre and ‘Dark Ark Lane’, created by the 7-11 group and also performed on 26th March, 12pm, at Cheshire Military Museum. For more information about any of these performances, please visit the website at http://www.minervaarts.com. The Tempest is being generously supported by the Foyle Foundation and Cllr Richard Beacham’s Member Budget. Tickets are available on the door costing £6 for adults and £4 for concessions.